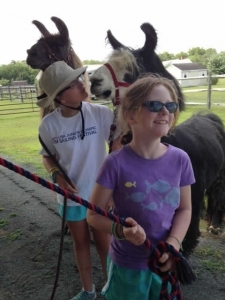 Reserving Your Llama Adventure is Easy! Ready to schedule your llama walk or farm visit? Just click on a dated time slot to see details of what’s going on at the farm and/or how many llamas are available that day. Use OPEN dates as a guide reserve a custom visit or a party. Additional weekday and after school visits can be arranged. Public events which may be of interest to you will also be posted. You can view our calendar here. Llama walks and farm visits are by appointment only on a first come, first reserved basis. Book yours today!